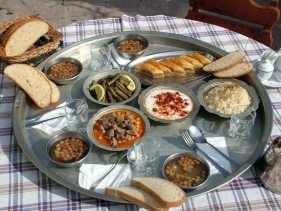 Socialising with friends in Turkey almost always involves a glass of the country’s customary alcoholic drink Raki served as an aperitif served with a range of Mezes. Traditional Turkish Mezes are a selection of appetisers shared amongst the whole table with some fresh bread to soak up the sauces, and can be eaten as a starter or enjoyed slowly with a well needed catch up. 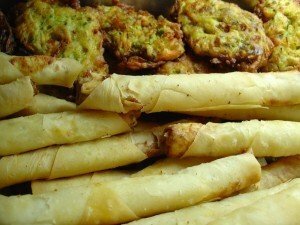 Popular plates include classic hummus, calamari and simpler mezes such as feta cheese, watermelon and dry cured meat, however there is a range of authentic Turkish servings that are ideal for nibbling on whether you’re enjoying a drink with friends or satisfying your palate before your main dish. 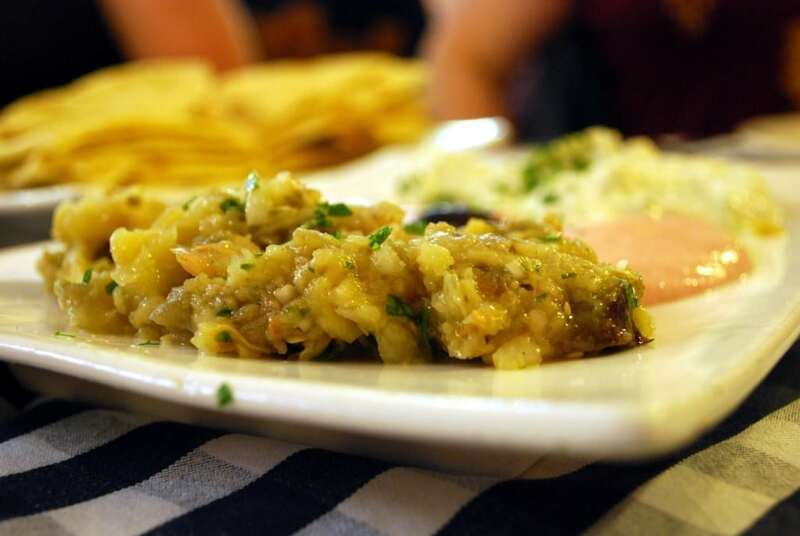 Aubergines are used frequently in Turkish dishes, but one of Turkey’s most popular dishes is the aubergine salad. Chopped finely and mix with olive oil, lemon, peppers, onions and garlic, the ‘salad’ is served chilled as a dip which is perfect for nibbling on in the hot summer months. 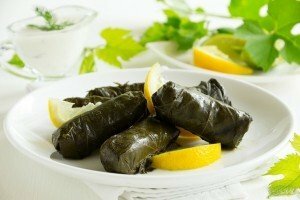 Dolma translates from Turkish to ‘stuffed thing’, in which a variety of vegetables or a vine leaf is stuffed with meat and rice fillings. The dish can be made flexibly by using courgette, peppers, tomatoes or aubergines, and there will be different interpretations of the stuffing depending on the cook. Finally, you can choose whether you want to enjoy your Dolma cool and covered in olive oil or hot! 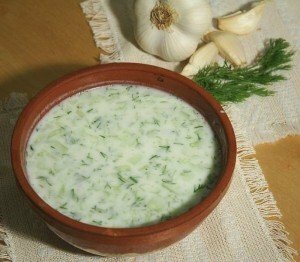 Cacik is the country’s natural yogurt that can be infused with garlic if desired. This is the perfect cooling dip to couple with dishes with a little too much spice. It’s pretty much a must have in terms of meze’s in a Turkish restaurant – it even helps with digestion! Cig kofte which translates to ‘raw meatball’, consists of beef kneaded with bulgur, chopped onions and a range of spices and flavours to create mince like meatballs. These can be served very spicy, so are perfect wrapped in lettuce leaves or combined with some cool cacik. 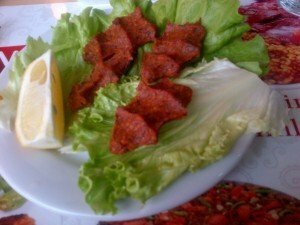 If you don’t fancy the dish cold, try Icli Kofte, which is the same but cooked! Mucver are Turkish fritters or pancakes, made from courgette or potato. Similar to other mezes, this can be served hot or cold to snack on during the summer months. Most of these meze’s have different interpretations in Greek, Lebanese and Arab cuisine, so you may have tasted meze similar to these. But it’s worth a try of the Turkish tastes to experience the authentic flavours created through Turkey’s rich history and influence from other cultures. This entry was posted on March 31, 2016 by Martin.